A balanced staple food for herbivorous and carnivorous cichlids. 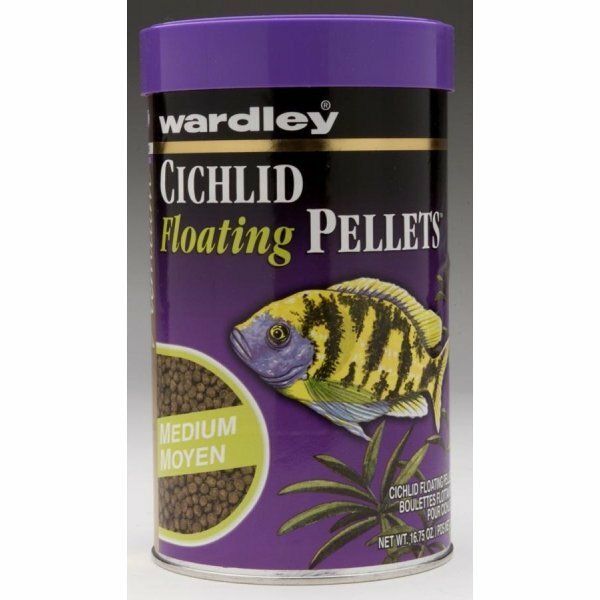 Wardley premium cichlid floating pellets contains canthaxanthin a superb color enhancer. That brings out vibrant red, yellow, and orange hues. Cichlid Floating Pellets has different options and/or variations, please choose below. A balanced staple food for herbivorous and carnivorous cichlids. Wardley premium cichlid floating pellets contains canthaxanthin a superb color enhancer. That brings out vibrant red, yellow, and orange hues.